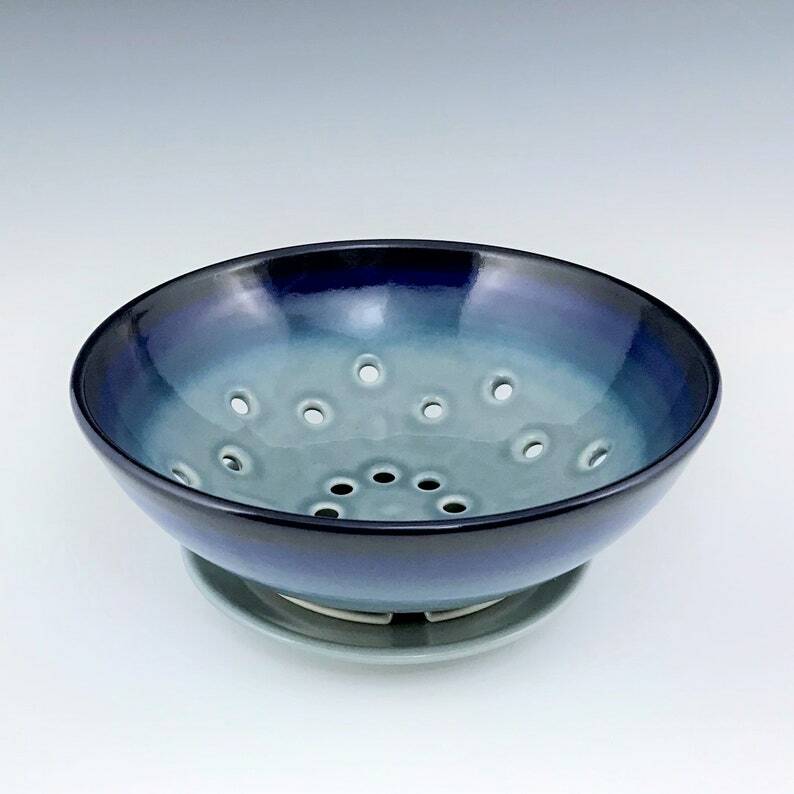 Porcelain berry bowl with a blue ombré pattern and a light blue matching saucer. It is dishwasher and microwave safe. Size: Bowl Height 2 ¾" Diameter 8 ½"; Saucer Height ½", Diameter 5 ¾"